This angelic like UFO has been recorded a dozen times over the last 5 years. Often heading into the sun or out of the sun, probably harvesting an energy source that us humans have yet to discover. The UFO has a lot of right angles to it. I only added a bit of contrast and the edges showed up clear. I’m a little bewildered at how NASA could keep such giant ships a secret from the public for so long? I mean its huge! Probably tens of miles across and travels so fast that the cameras only caught it in a single photo, then it was gone a few minutes later. 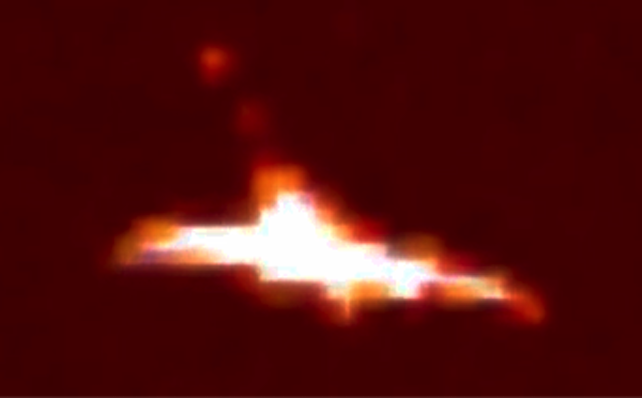 When ever we see this angelic UFO it usually has a few round smaller UFOs following its tail just as it does today.